Have you ever sat down and worked out the true value of the products you are creating? Not the cost to make them, not the amount you price them at, but the true VALUE your products bring to the world? This should be a massive factor in the pricing of your goods, but all too often makers are too wrapped up in a specific pricing formula, under-pricing their products and de-valuing the handmade industry as a whole. What prompted this post was a presentation from some local college kids (grade 12) that I was on a panel for. These students are undertaking a unit where they make their own products and bring them to market, learning the process of pricing, packaging, presentation, target market, marketing and selling. Two of the presentations in particular stood out to me, and the reason was that aside from these kids being really talented makers, they were seriously undermining the value of not only their time, but also the value of their final pieces, in terms of customer perception. And it struck me that even as we get a bit older, gain more experience and feel like we have a firmer grasp on this whole “running a business” thing, often so many people still make the same mistake as these students have done. So let’s first talk about the value of your time. One student was creating large abstract portraits, taking photographs of her clients, spending 10+ hours in photoshop creating the finished art, and printing them as A1 size prints. The total time to create each piece was usually around 12-15 hours (and they were really beautiful abstract portraits). And she said very confidently that the final prices to a customer for this art would be $8 for an A2 print, and $10 for an A2 print. Now, most of you will know this is crazy talk. The example here is obviously on the extreme end of the under-charging scale, but time and time again I see the same thing happening when people are working out how to price their own pieces of art or other products. It didn’t even occur to this girl that she was paying herself less than $1 an hour to do this work. When we talked about it further I pointed out she may as well go get a job at Maccas instead, it sunk in that if she wants to make a living eventually from her art, her time needs to be worth more than the minimum wage. This is the mindset shift we all need to make too. If you want your passion work to be anything more than a hobby, you need to treat it with more respect, and value the time it takes to create whatever it is you are making. And now, onto the value that your work brings to whomever is buying it. The second student had created 5 pieces of art, A5 watercolour illustrations. These were beautiful pieces of art, some simple, and some more complex. She explained that these original artworks would be selling for $15 each, but she would probably create more detailed pieces later on and charge a little more for those, maybe $20. We talked a little about it and I tried to explain that just because something is simple, doesn’t mean it should be a lower price, because as a consumer I found those simple paintings absolutely gorgeous and I wanted one in my home. The VALUE to me was far greater than her formula price she had put on them, and when I told her I’d pay $40+ for one of them (unframed) her eyes popped with surprise. We talked more about making a run of prints and perhaps these may be around the $15 mark, but the original art needed to be priced much higher. If you have two art prints side by side in a similar style, the VALUE each brings to the customer is the same. They satisfy a particular need or problem for that person. This person wants that art. Now let’s say one of these prints has been mass produced and is being sold in Myer for $125. The other you have created, and have followed your pricing formula and have priced at $60. Why does the big box store get to charge twice as much? How is your item any less valuable than their item? In reality, a run of prints made from an original by a local artist should be (and usually is) perceived as having a much HIGHER value than something that has been mass produced and sold in a big box store across the country. And yet we still doubt ourselves when pricing our items at anything higher than what our formula tells us to. We (you) need to get over this, stat. As a starting point, look at your ideal customers needs and wants, discover the problem you are solving for them, and work out what value this solution holds for them. It may very well be less than what you want to charge, but if I were the betting type, I’d put my money on your customers’ valuing your products far greater than you think they do. 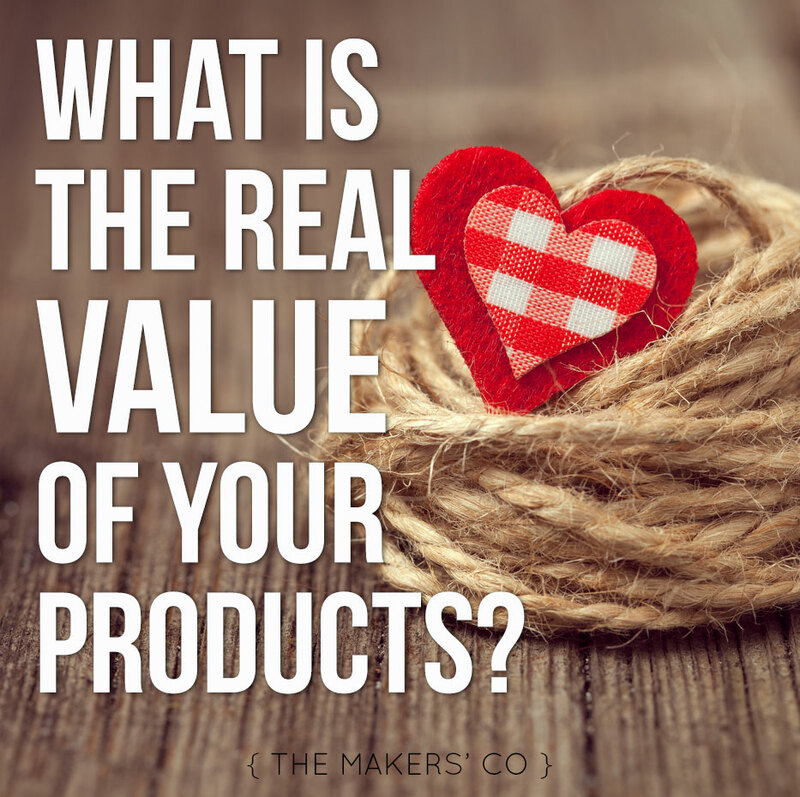 So next time you are pricing your handmade products, make sure that you really think about the VALUE it will bring to your customers and don’t be afraid to factor that in to your end price point! We’re trying to make a living here, people. Do you agree, or disagree? 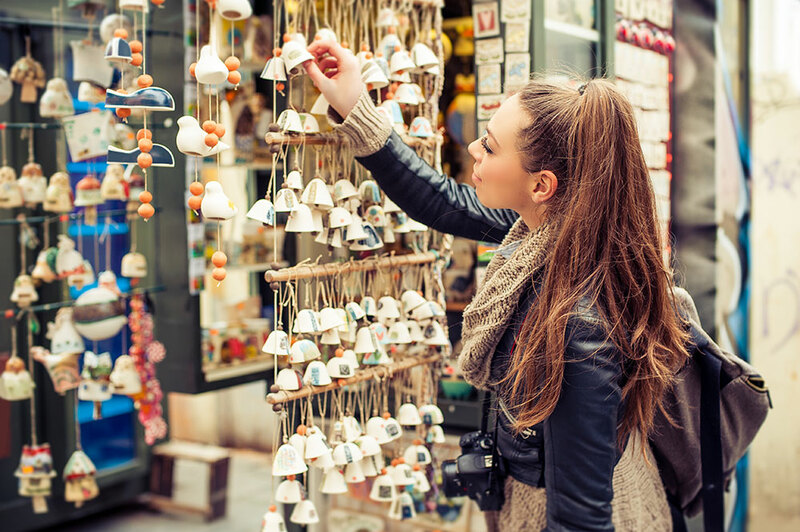 What is your major hurdle in charging the full value of your products? Let me know in the comments below! If you are ready to follow your own path and make those daydreams a reality, start taking action and realise the potential of your creative business, download my FREE Small Business Starters Survival Pack now!